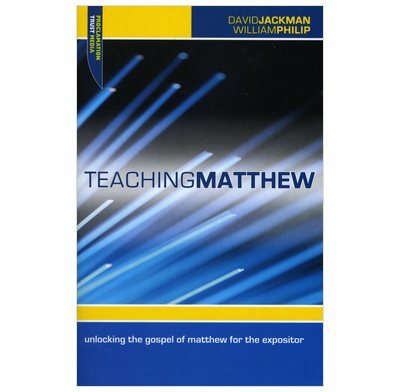 Teaching Matthew will help Bible teachers as well as those simply reading Matthew for themselves. Matthew's gospel is a substantial book - its large sections on teaching and theological reflection seeming to predominate over the 'action' of the story. However, precisely because there are such rich seams of theology, and so much teaching from Jesus himself, it is a wonderful treasure-trove. It also excels as a way of explaining the message of the New Testament gospel so as to open up a sense of its continuity with the whole Old Testament, and the fulfillment of God's covenant promises in Jesus Christ. Though principally aimed at preachers who are preparing expository sermons, Teaching Matthew will help Bible teachers in a variety of settings as well as those simply reading Matthew for themselves. Each chapter ends with a brief conclusion to help crystallise your thinking.